You will remain very healthy, feel energetic and maintain your physical fitness in 2019. Any existing ailment will get diagnosed and any past illness will also get cured as is shown in your Aries 2019 health prediction. You will have a desire to do some exercises. Your immunity and will-power will be very good. This is a good year for those who are associated with sports activities, and they will also get the expected results according to your Aries health horoscope 2019. Join the gym or take up something that will help you in achieving weight loss targets. Anything related to health and your fitness goals will be successful as per Aries fitness horoscope 2019. If you have the determination and motivation to maintain your health and remain fit for a long time, then this year is going to be the best year for you. At the same time take adequate precautions, consult a doctor and find out if you can do particular exercises. At times due to certain physical or health reasons you are not recommended to hit the gym or do heavy exercises. Aries health horoscope 2019 wants every native to focus on their health and well-being. Even if you’re physically fit, it is always good to go for regular check-ups to ensure that you are safe from any sickness. But, pay special attention to your health from the 21st June 2019 to 1st July 2019. Those suffering from heart diseases must remain careful and avoid any kind of mental pressure as is foreseen in your Aries fitness 2019 horoscope. Take care of any infection in the heart, and if there is any problem, go for a check-up. Watch your diet and stay cautious to avoid injuries between 23rd July 2019 to 18th August 2019. Work according to your health predictions and you won’t have to face any health disorder during this year 2019. Take your medications, vitamins etc. on time and you won’t have to worry about anything. 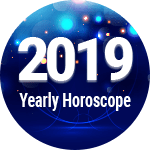 Except for the above-mentioned dates, you will remain healthy physically and mentally, throughout the year according to 2019 horoscope. Moreover, you will generally maintain a positive attitude. If your attitude towards your health is right then everything will go in the right direction suggests your Aries health horoscope 2019. 1. According to your Aries 2019 health horoscope, you should stay cautious during the time periods that can be hazardous to your health. 2. If you don’t be careful during this time, your health condition might get deteriorated, posing a threat to your life. 1. The rest of the year is very good for your health and fitness, focus on your fitness goals and all of it will be achieved very soon. 2. Your health horoscope 2019 for Aries says that this is going to make you feel healthy, wealthy and wise. It is going to bring joy in your life. Aries Health And Fitness Horoscope 2019 Overall rating: 4.3 out of 55 based on 1023 reviews.